• Develop a powerful business plan in half the time. partnering with CPAs and attorneys. numbers and download links are also included. important definitions and 12 ways to minimize fraud. working with hundreds of small businesses, a degree in finance and an MBA. 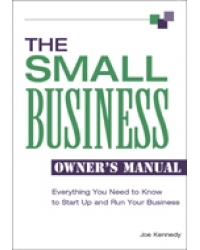 for those starting a business, operators of existing enterprises, or as a gift.